A cute little felt hat for your pins. 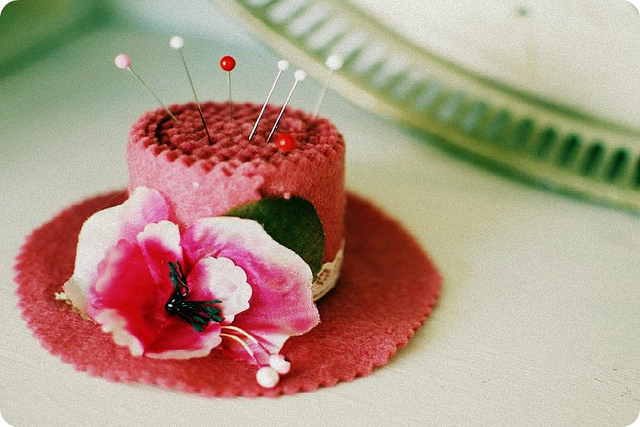 Mena from The Sew Weekly crafted this cute and easy-to-make pincushion. She was inspired by a similar pincushion she’d seen at an antique fair and her 30 days of pincushions giveaways (seriously, 30 giveaways in 30 days – talk about a different take on the 30-for-30!). If you want to make this cute little felt hat for your pins, check out the tutorial on her blog.